In Brazil, the role of REDD+ in stemming deforestation since 2004 is unclear — as is its potential for reversing the recent upward trend. Land-use change represents more than 60 percent of Brazil’s greenhouse gas (GHG) emissions, and the Amazon accounts for 65.2 percent of that amount, according to government figures, although those numbers are sometimes contested. Much of the deforestation in the country stems from the promotion of private enterprises, particularly ranching, timber and mining. Since the 1980s, Brazil has taken steps to reduce deforestation, with the greatest success occurring between 2004 and 2016, when the rate decreased by 71 percent. Some of those measures involved actions for reducing emissions from deforestation and forest degradation (REDD+). Whether that improvement will be sustainable in the long run is unclear, however, as there was a recent sharp increase in deforestation rates. A new Brazil country profile, produced as part of a Global Comparative Study of REDD+ led by the Center for International Forestry Research (CIFOR), examines the drivers of deforestation in Brazil and efforts to solve the problem. This third edition provides a fully updated overview of conditions affecting environmental policy for REDD+ in the Brazilian Amazon through 2015, when Brazil submitted its National REDD+ Strategy (ENREDD+) to the UN Framework Convention on Climate Change (UNFCCC). How did Brazil slow deforestation? Reducing deforestation became a Brazilian government priority even before international climate agreements incorporated REDD+ schemes for reducing GHG emissions caused by deforestation and forest degradation. International scrutiny, combined with pressure from Amazonian rubber tappers who make their living from the forest, led successive governments to tackle the problem, albeit with limited success. 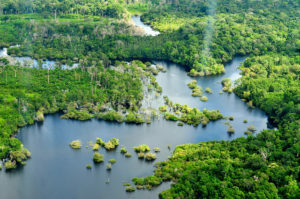 In 2003, Brazil submitted a proposal for “compensated reduction” under the UNFCCC, calling for compensation by developed countries for less-developed countries that reduce greenhouse gas emissions related to land-use change in tropical forests and promote sustainable land management. 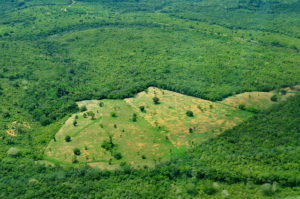 Over the next dozen years, a combination of incentives and disincentives to keep the forest standing and more effective law enforcement through command and control measures led to a dramatic drop in deforestation, especially in the “deforestation arc” around the southern and southeastern edge of the Amazon. In 2015, Brazil officially submitted its National REDD+ Strategy to the UNFCCC. By then, many REDD+ pilot initiatives and related policies had already been implemented. There are several clear reasons for Brazil’s success in decreasing deforestation. First, the country’s sophisticated monitoring system provides real-time information about land use change to Brazil’s environmental enforcement agency, the Brazilian Institute of Environment and Renewable Natural Resources (IBAMA). This has reinforced command and control measures on the ground. Meanwhile, reduction of deforestation became policy with the Action Plan to Prevent and Control Deforestation in the Amazon (PPCDAm), whose implementation began in 2004. The designation of several protected areas between 2002 and 2010, alongside new policies in 2007 and 2008 that targeted a “federal blacklist” of municipalities with critical deforestation rates, were crucial in reducing unprecedented levels of deforestation. Finally, a series of demand-side measures (including multi-stakeholder round tables, zero-deforestation agreements and trade embargoes) began playing a key role in slowing deforestation. But the problem is reemerging. Current deforestation rates in the Amazon are the highest in the past four years. Between August 2014 and July 2015, Brazil clear-cut 6,207 square kilometers, a 24 percent increase over the previous period. Amid turbulent political events, national policy is now moving in the opposite direction, including several new constitutional amendments that threaten forests and the environment. The Forest Law passed in 2012 granted amnesty to landowners who deforested illegally before 2008. Meanwhile, a measure requiring farmers to register rural properties and restore or provide compensation for illegally-deforested areas has been delayed twice. Proposed Constitutional Amendment (PEC) 215 would require Congress to approve the demarcation of indigenous lands, while Constitutional Amendment (PEC) 65 would facilitate licensing of major infrastructure projects without adequate evaluation and mitigation of environmental impacts. That is of particular concern, because of proposals to build 334 dams throughout the Amazon Basin. More than one million square kilometers of the Brazilian Amazon have also been registered for mining, which would threaten forests. Meanwhile, the number of conservation units in the Amazon has been reduced, leading to an increase in illegal occupation, while a lack of financial resources is hampering on-site monitoring of deforestation. And much of the deforestation has shifted to the Cerrado, a tropical savanna ecosystem east of the Amazon, which is now under enormous pressure, but receives far less attention than the Amazon forest. Until recently, the Cerrado was not considered in REDD+ programs or other policies for combating deforestation, and it remains to be seen whether new policies will successfully address the land-use-change challenges there. Brazil’s National REDD+ Strategy, known as ENREDD+, is aimed at reducing illegal deforestation; conserving and restoring forest systems; and generating economic, social and environmental co-benefits. The strategy calls for more monitoring and for convergence among policies (climate, forests and biodiversity) by 2020, as well as increased financing and benefit-sharing for REDD+ strategies. ENREDD+ will be guided by the National Policy for Climate Change and the Forest Code. It identifies three sectoral plans as the primary channels for implementing REDD+: PPCDAm; the Action Plan to Prevent and Control Deforestation and Fire in the Brazilian Cerrado (PPCerrado); and the Plan for Low Carbon Agriculture (ABC). The strategy supplements these plans with cross-cutting measures, including a financial architecture for REDD+ and a set of safeguards designed to ensure that REDD+ actions do not inflict social or environmental harm. It is not yet clear, however, what types of measures Brazil will concentrate on to implement REDD+, coordinate national and sub-national efforts, and guarantee that safeguards are in place. Detailed regulation of these issues was left to the National REDD+ Entity and its Thematic Consultation Chambers, which are still in the early stages of designing specific principles and procedures. And evidence is still scant about the potential of sub-national initiatives to reduce deforestation, with little coordination demonstrated among the initiatives. As a result, disagreements between federal and state government agencies and a lack of definition regarding financing, benefit-sharing and safeguards for local initiatives pose significant obstacles to implementation of ENREDD+. There is an urgent need for stakeholders at all levels to join forces to ensure a more appropriate structure and strategy for the National REDD+ Entity and its Thematic Consultation Chambers and to clarify how ENREDD+ will be put into practice. Although Brazil has reduced emissions in recent years, it is difficult to determine how much of this was due to REDD+ initiatives. Besides analyzing performance indicators for results at each phase of REDD+, this would require an assessment of co-benefits, such as improved forest governance and poverty reduction. REDD+ was supposed to provide benefits that would overcome the limitations of “command and control” measures. Instead, however, the ENREDD+ is mainly based on government policies and previous national efforts to reduce deforestation, such as increasing monitoring and reinstating old practices of forest conservation. It is difficult to imagine how much of the remaining “residual” deforestation can be curbed through increased command and control, especially considering the recent opening of the Brazilian beef market to the US and China. In its REDD+ interventions, Brazil should strive for a clearer understanding of the fundamental processes and practices that drive deforestation, such as the growing extra-local and international demand for forest and agricultural commodities, subsidies from outside the forest sector that encourage the production of such commodities, and the multifaceted and evolving issues of the different actors that are the target of these incentives. ENREDD+ has yet to clarify the role of these actors, especially the private sector. These tasks are crucial to ensure that Brazil does not turn back the clock on its battle against deforestation. By Maria Fernanda Gebara, originally published at CIFOR’s Forests News. For more information on this topic, please contact Maria Fernanda Gebara at [email protected], Peter May at [email protected] or Maria Brockhaus at [email protected].